As we continue to build PeakEmployee we’ve experienced a lot of highs and lows over the course of the year. “Hey, we landed XYZ as a client!” and “Oh no we lost the bid for ABC!” And the list goes on and on and up and down as related to all of the machinations of a startup — wins and losses, rinse and repeat. As the year progressed I put a number of quotes on my desk related to how I was feeling at various times to remind and/or inspire me. Some were related to business and some were a bit more personal but I thought a few were worth sharing. Hopefully some of these will help you in 2016! Happy Holidays and may you have a great 2016! 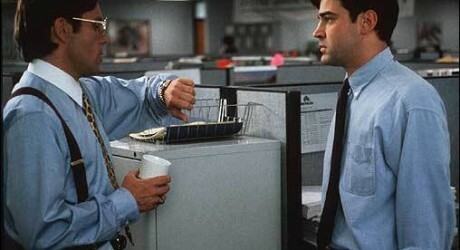 Do you really have to worry about employee retention in a bad economy? In a word, yes. Here are 3 reasons why retention matters even when the Dow takes a dive. 1. The cost of replacing an employee may affect your business more adversely in a tight economy. Some of you may be thinking, well, yes but what if I don’t replace an employees that leaves? This is always an option but the price is then paid by other workers in the absorption of those duties which translates into less productivity, worsening work/life balance, more stress, etc. In the long run this strategy can create a retention spiral that leaves your company with serious turnover and cultural issues. 2. Employee poaching. If you are in an industry that is fighting over people during the good times then guess what? The smartest companies are poaching your people during the bad times as well. Great companies don’t stop recruiting because the economy has taken a downturn — rather they recognize it as an opportunity to sell the greener grass at their organization to your people. How do you fight it? Keep a pulse on the workforce. Continue to recognize great work even in the hard times. 3. Paradoxically, job security will become more important to your employees which can increase turnover. Why? Because your best employees will be keeping their eyes open for companies that can offer them a more secure future. Consider that in an employee’s mind a decision to keep your company “lean” and go through a small layoff often simply translates into panic and job hunting for those that were lucky enough to not be let go. Choose your actions and words wisely in an economic downturn as your cure can sometimes be worse than the ailment. So, why the post on a down economy now? Well, it always helps to wish for the best but be prepared for the worst. And, well, that whole China thing is interesting. Look for a big announcement from PeakEmployee later this month as we continue to build upon the best Workforce Retention Analytics package in the industry! Because the truth is that eventually we all leave either voluntarily or involuntarily. Whether it’s being fired Trump style, moving cities because your spouse got a better gig, leaving for the competition, or retiring — we all leave. So when it comes to retention the real question we should be asking is, “How long can I reasonably keep around employees that are accretive to our operating goals?” So, let’s break that sentence down into it’s key elements. 1. We have a “reasonable timeframe” that we are trying to establish. This can vary by employee segment, position, etc. This can be based on the data you have at hand and how in depth you want to segment and track employees and retention goals. 2. We’re not trying to retain everyone. We are specifically trying to keep around employees that we feel are “accretive” to the company. In many cases this means most of the workforce but when we begin to combine employee feedback data with performance data we begin to illuminate some interesting classifications within our retention framework. 3. We are mapping retention to operational goals. Do you have a problem with sales that translates into an issue retaining quality Sales people? Is your office in London a revolving door? Set goals and track them over time. Also, if you have a high quality workforce retention software solution it will learn over time with you and provide insights that make workforce planning that much easier. Utilizing a system that tells you what is changing in relation to your workforce and your goals is critical in understanding not only where you are at but where you are headed. If you have 30k employees and a single Employee Relations employee can you really know what is going on in your remote locations at any given time? It requires a system that allows you to drilldown in real-time and see the players involved and what is happening. In this way you can utilize the goals and macro trends to feed strategy while also being aware of the brush fires kicking up in the workforce before they become infernos. At the end of the day everyone is leaving — but that doesn’t mean we shouldn’t get smarter in understanding why and delaying the when for the right people. In business we put a lot of trust in our people managers. We trust them to varying degrees to hire the right people, nurture their careers, oversee their work, and guide them in the running of the business. All in all it’s a big job and it’s not easy. Sometimes being a people manager can feel like you are a part-time therapist, adviser, fortune-teller, father, and mother all rolled into one. In short, it’s a tough gig with a lot of potential for pitfalls and greatness. And yet despite the massive impact that people managers have on employee retention there are generally no good solutions for monitoring their effectiveness outside of normal review cycles. This leaves a lot of opportunity for mismanagement of your workforce, especially in the case of first time people managers. It’s because of this out sized amount of responsibility and impact that we are now offering Manager Analytics integrated into the PeakEmployee solution. Now when we identify a trending issue within your company we can show you the management involved, what their directs are saying, how the people managers rank within their org and across the company in a multitude of areas. In short, we give you a real-time view into manager effectiveness and tie it into an integrated solution that tells you the story as to what is going on in your company and who the players involved are. Want to learn more? Let’s chat about what PeakEmployee and Manager Analytics can do to improve retention and cut turnover costs at your company. 1. Retention and Engagement while closely linked are their own animals. Top companies understand that they may have distinct retention drivers that do not exist in their preconceived notion of engagement drivers, they know that you must often treat symptoms differently, and most importantly they realize that they need to implement the correct framework and tools to fix the underlying problems distinctly. In other words, smart companies are not relying solely on their employee engagement programs to solve their very real and ongoing retention problem. 2. An annual survey is not the answer to a retention problem. A survey is a tool that might tell you if you have a problem — if you enter the right questions — and incentive your employees correctly to participate. If you are serious about retention you need a solution that captures, analyzes, learns, and makes actionable recommendations on an ongoing basis. It’s not the act of data gathering that makes the difference it’s where it fits in your retention framework that helps you to solve this costly problem — and it’s often a solution that needs to be customized for your company to boost the odds of success. Retention is not a one size fits all problem or solution but there are certainly best practices that exist by industry. 3. Avoid vendors that claim to solve your cultural, retention, and anything- else-in-the-world problems. I say this with unabashed prejudice that when choosing a vendor for this problem focus on a specialist . If you have a retention problem then look for a company that specializes in retention. It will be worth your time and money. In other words if you feel like steak for dinner then go to a steakhouse. I’m genuinely thrilled to see retention starting to get the focus it deserves. When you focus on retaining good people through informed change you create a competitive advantage and position your company for success. Want to talk retention at your company? Drop me a line! That is the conclusion of a new Gallup poll which shows that 50% of employees that recently resigned from a company say they left to “get away from their manager.” That’s a pretty grim statistic on the state of people management. Sadly, we’ve pretty much all been there at one time or another. But what can we take away from this poll as people working to improve retention? 5. Thanks to technology job hunting has far surpassed the agility of most corporate retention efforts. It’s simply easier to find a new job than deal with a bad manager. So what do we do with all of this? It seems simple to say that we must focus and invest more in people management but in truth boosting retention is an iterative process and people management is only a single (albeit large) factor in the more complex arena of retention. To get started tackling retention issues you need to have a clear methodology that helps you understand retention drivers, identify data points that surround those drivers, implement unobtrusive data monitoring, analyze, learn, and build the ability to identify current areas of opportunity and predict future areas of concern. And then you must turn this into an iterative process. Rinse and repeat. It’s not enough to implement change based on an annual survey and walk away and wait another year to see how it worked — or at least it’s not enough if you want your retention plans to be as agile as your employees ability to find a new gig. At PeakEmployee we specialize in helping companies get ahead of retention issues with our Workforce Retention Analytics platform. Ask us how we can help reduce turnover at your company and how you can make a complex problem an amazing opportunity with a compelling ROI. 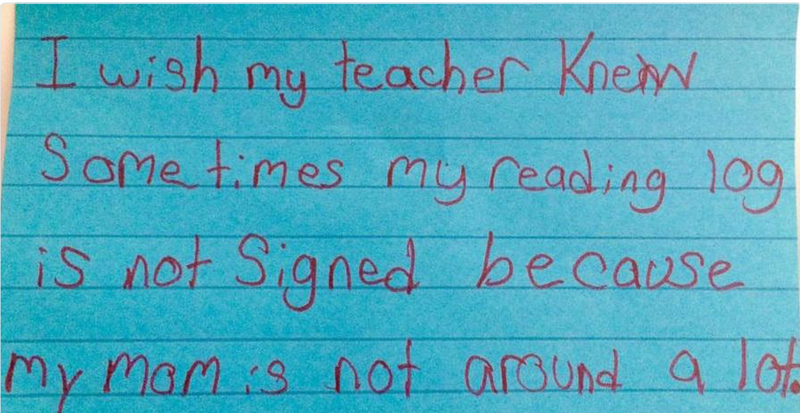 A third grade school teacher in a low income area in Denver recently asked her students to complete a simple sentence that started with “I wish my teacher knew…” The answers were at times both heart warming and heart breaking. They ran the gamut from students defending the honor of the teacher against other students; to letting her know that their Father left home many years ago and is dearly missed. As I read the article I couldn’t help but wish that more employers had Ms. Schwartz’s curiosity about their employees. I sometimes run across companies that don’t ask their employees anything. Ever. No on-boarding feedback. No annual survey. No exit interviews. Nothing. “No time for that” they say in a strangely proud sort of fashion. One HR Exec proclaimed that he surveys his employees once every 3 years and would eliminate it altogether if he could. Another gentleman said that if he listened to his employees he might actually have to take action and he wasn’t prepared to do that because he was too busy. I imagine Ms. Schwartz was pretty busy too. But the game is changing even beyond simply asking your employees the right questions once or twice a year. It’s about making it simple, accessible, and rewarding for employees to provide feedback on a regular basis that keeps today’s top companies ahead of retention issues. It can now be done in a painless way and at a scale that makes it easy for even the largest companies to distill massive amounts of data into actionable insights in short order. Even with today’s technology it is perhaps understandable that in our daily pursuit of profit we aren’t necessarily thinking about employee satisfaction and retention as being revenue or cost savings drivers. This is despite extensive evidence showing it’s very real impact on both the top and bottom lines. However, for the companies that do prioritize retention choosing to take the the pulse of the workforce on a recurring basis will allow them to far outpace the competition. And while you are gathering amazing insights into the dynamics of your workforce you will also be letting your employees know you care by listening and making informed changes which leads to the added bonus of becoming a recruiting magnet… Because, after all, who doesn’t want to have Mrs. Schwartz for their third grade teacher? She listens. She cares.